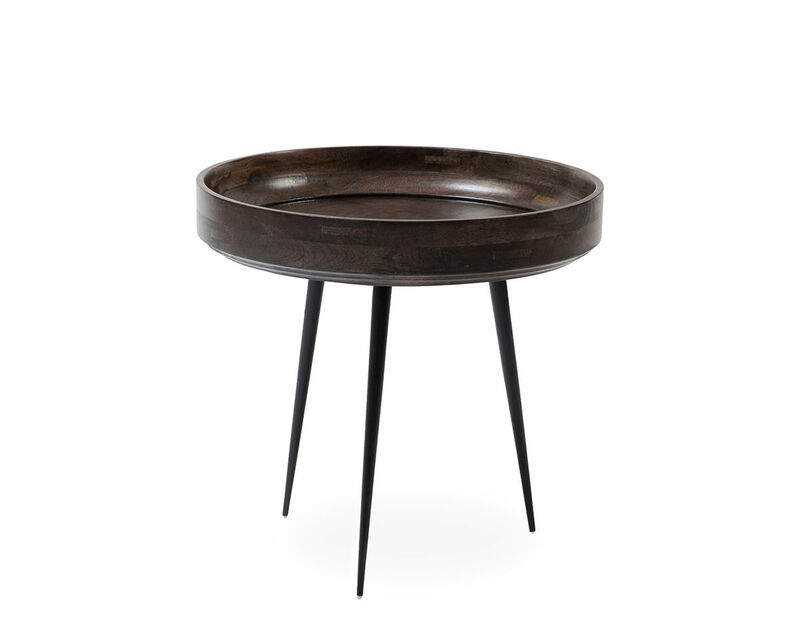 The Mater Bowl Table reconciles old Indian craftsmanship with the simplicity of Scandinavian design. 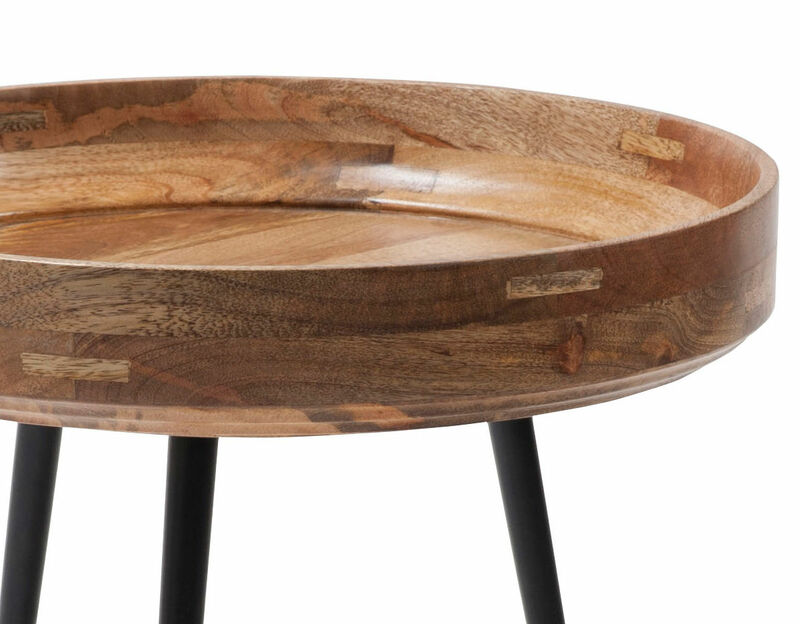 The table top, made of sustainably sourced mango wood is turned on a lathe, showcasing the skill of Kharadi, an Indian wood turning community and supporting their local craftsmanship. 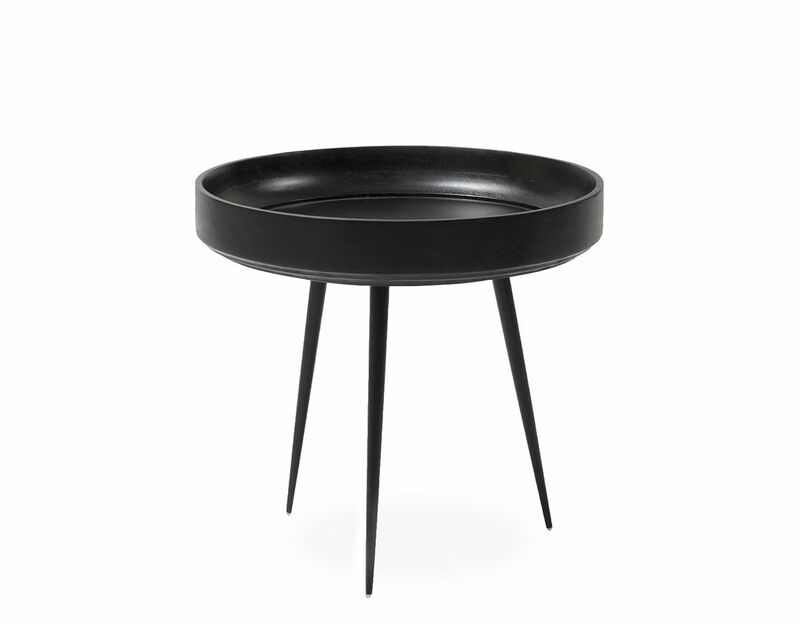 The Bowl Table can stand alone or be paired as a side table vignette. 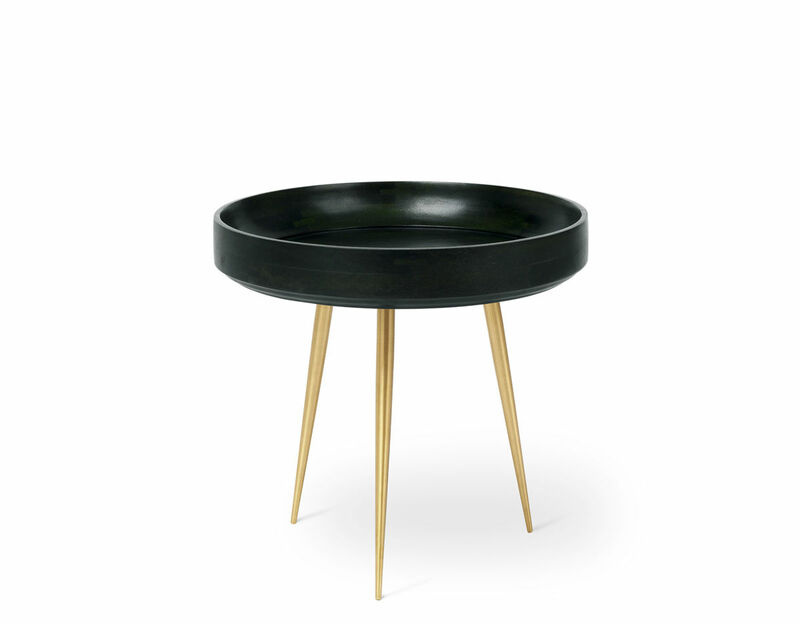 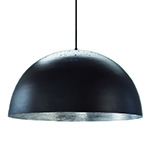 The finish used on the table top is a lead-free, water-based PU lacquer. 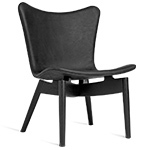 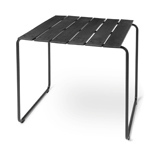 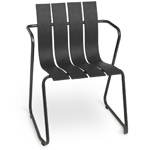 The legs are made of milled hollow steel rods and can be detached for ease of labor and transportation. 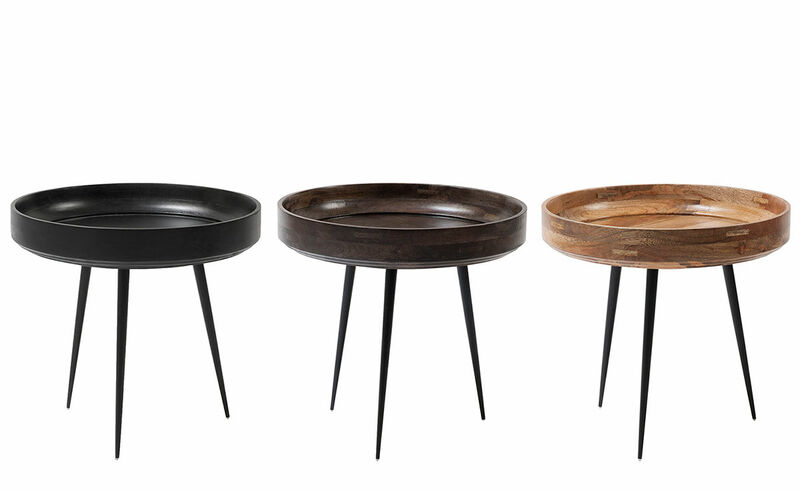 The Small Bowl Table is offered with a sustainably harvested mango wood top in three finish options and steel legs. 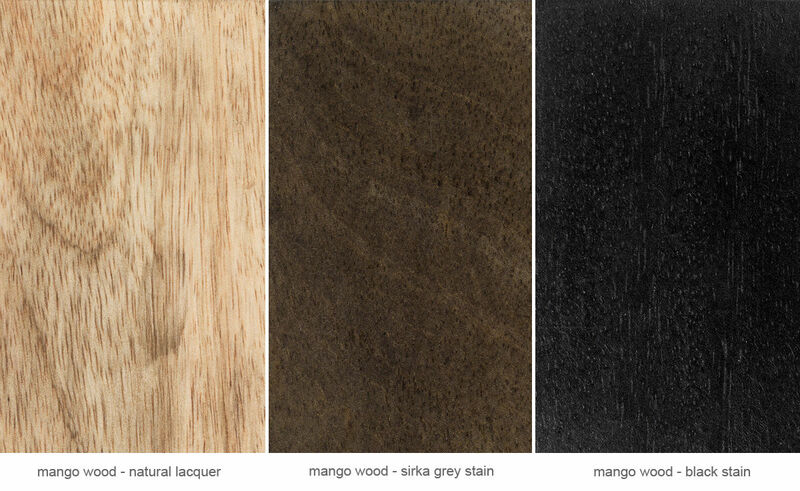 Indian mango wood is sustainably and responsively sourced timber - once the productive life of the tree is over another one is planted to replace it. 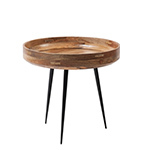 The finish on the wood is a lead free water based PU lacquer that respects the local environment. 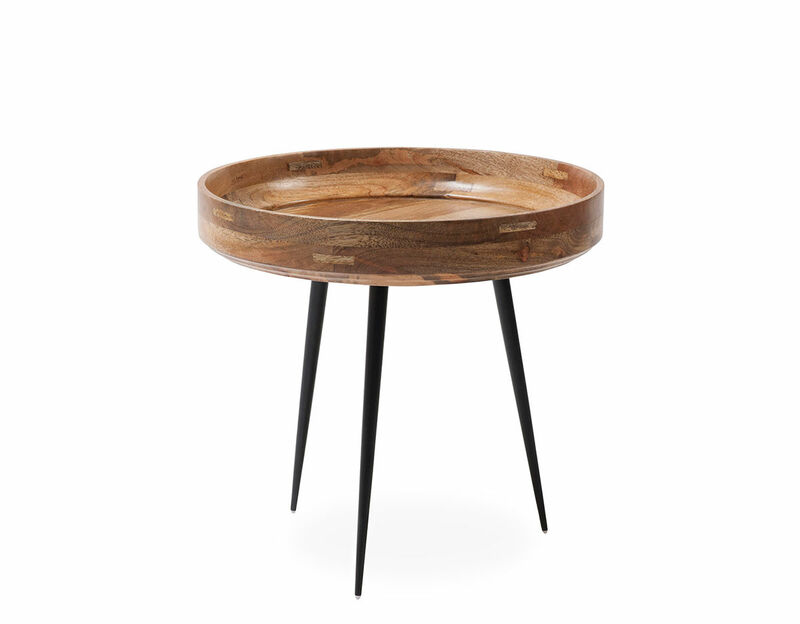 bowl table small: 15" h | 15.7" dia. 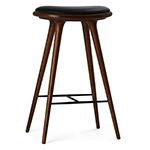 $420.00 + free shipping in the continental U.S.